Nicole Kahn, M.A., Ed.M., is a California licensed Marriage and Family Therapist, a Certified Imago Relationship Therapist , a Somatic Experiencing Practitioner®, and a Trauma Touch Therapist with over fifteen years of experience treating adolescents and adults, individually, as couples, and in families. She provides professional therapy services throughout San Diego County. Nicole uses an eclectic approach in her therapy practice, maintaining a person-focused rather than symptom-focused approach; she treats each person’s problems within the context of his or her current circumstances. Nicole received a Bachelor of Social Work degree from New York University and then went on to earn a Master of Arts and a Master of Education in Psychological Counseling from Columbia University. She has completed coursework in the Ph.D. Expressive Arts Therapy Program at San Diego University of Integrative Studies and continually participates in educational opportunities regarding effective treatment practices for her clients. In addition to providing therapy, Nicole has years of experience teaching workshops, creating curriculum, and leading lectures in the field of mental health and holistic wellness. Nicole has been a featured contributor for the San Diego Union Tribune, Vision Magazine, Current Health Magazine and Vital Force Radio. Currently, Nicole is an active member of the CA Association of Marriage and Family Therapists. Nicole has received extensive training in cognitive-behavioral therapy, Somatic Experiencing®, Somatic Experiencing® Touch Therapy, bioenergetics, expressive arts therapy, behavior-modification, short- and long-term psychodynamic therapy and Imago Couples therapy. She also continues to receive training and education in utilizing Eastern methodologies, such as insight meditation, breath work and mind-body connection, to more effectively treat clients and has maintained her own personal yoga and meditation practice for the past 15 years. Nicole uses a combination of traditional talk therapy, body-oriented psychotherapy and healing touch work with clients. This combination often yields the most comprehensive level of healing and lasting change. 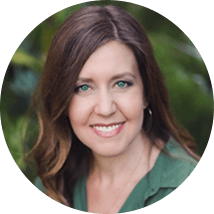 Nicole’s treatment objectives are first to alleviate current symptoms that prevent one from living a balanced, fulfilled, and joyous life, and then to address underlying issues. In this safe, therapeutic environment, she offers tangible methods to help reduce current symptoms, while helping to uncover the root cause of emotional ailments. As greater awareness is achieved, Nicole supports clients to integrate these new insights into everyday life. Thus, old, destructive patterns are eliminated and new, effective, and healthy ways of living emerge. Ultimately, the goal of therapy is to achieve more fulfilling and productive personal, marital, familial, and social relationships. Achieving balance–emotionally, spiritually, and physically–is the key to a successful and satisfying life. Nicole incorporates her knowledge of psychology, yoga, Eastern philosophies, meditation, the creative arts, and alternative medicine to help clients gain total health and wellness. For Nicole, wellness is about integrating all parts of self and thus connecting to the world around us.